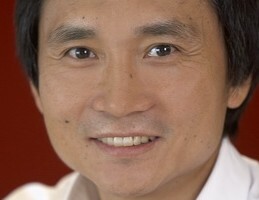 Li Cunxin’s journey is simply remarkable. He was born into utter poverty in Mao’s Communist China and selected, at the age of ten, to train at Madame Mao’s Beijing Dance Academy. Seven years of stringent training at the Beijing Academy taught him discipline, resilience and perseverance. Li’s astounding drive and work-ethic made him one of the best dancers in the world. In 1995 Li moved with his wife Mary McKendry to Melbourne, where he made a successful career transition from ballet into finance. He was a senior manager at Bell Potter, one of the largest stockbroking firms in Australia, Councilor of the Australian Council for the Arts, and has served on the boards of the Bionics Institute and The Australian Ballet. He is currently the Artistic Director at Queensland Ballet. Li was awarded an honorary doctorate in 2008 by the Australian Catholic University for his contribution to dance and literature. In 2009 he was named the Australian Father of the Year and in 2014 was the Queensland finalist for the Australian of the Year award. Li’s extraordinary and inspirational autobiography, Mao’s Last Dancer, was published in 2003, and quickly rose to number one on Australia’s bestseller list. A tale of talent, faith and determination, the book is a moving account of the moral complexities, personal costs and rich rewards of following one’s dreams. It has been awarded the Book of the Year by the Australian Booksellers Association and the Christoper Award for Literature in the USA. Currently in its 52nd reprint, Mao’s Last Dancer is an international bestseller, available in over 20 countries. In September 2009, a movie adaptation of Mao’s Last Dancer, directed by Australia’s Bruce Beresford (Breaker Morant, Driving Miss Daisy), was released to great critical and box office success. The highest grossing Australian film of that year, it holds the record for the 12th highest grossing Australian film of all time. An inspirational and motivational speaker, Li Cunxin’s story is a beautiful account of his extraordinary journey, told with honesty, dignity and pride.